Hi Jez, welcome to the CBC blog. 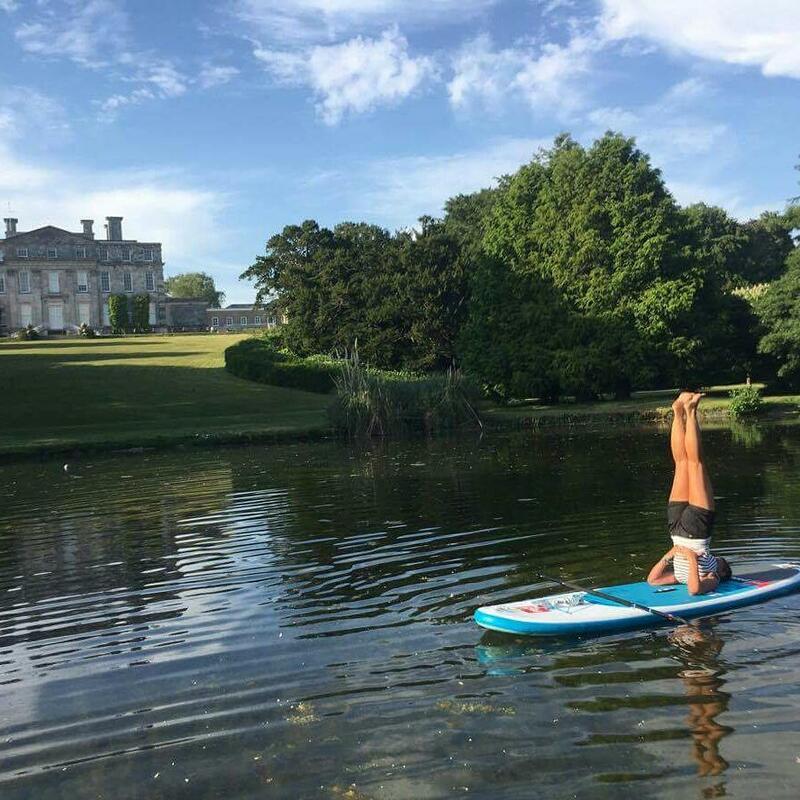 So, can you explain what is Paddleboard Yoga? splendour of the lake & surrounding trees. & push you to become an even better yogi than you thought possible! what else is on your ‘to-do’ list! It’s a true mindful practice. The most important thing is to relax & have fun with it. weather we’ve been having – what an amazing summer! in addition to my 500 hours Yoga Teacher Training. Kingston Maurward Lake to hold your classes? & swifts swooping above us. so you won’t float away! who need a specific time to suit them. dark or cold to be out there so it’s not too late to come & give it a try. even when it’s dark and cold outside! transitioning between poses requires concentration to keep the board steady. distribution to counterbalance the movements of the board. misalignments result in a dip in the water! to reduce boredom & cuts your risk of injury. which is a life lesson in itself. the natural landscape & having a good stretch, what more could you ask for? 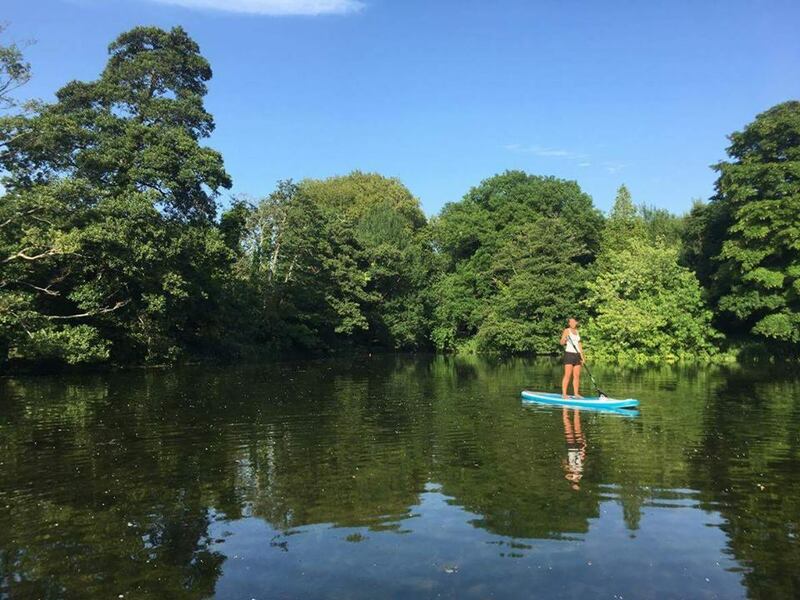 been on a paddleboard or attended a yoga class to take part? No experience of either paddleboarding or yoga is necessary. bring their own board or can they hire one? front of the board to keep it safe. 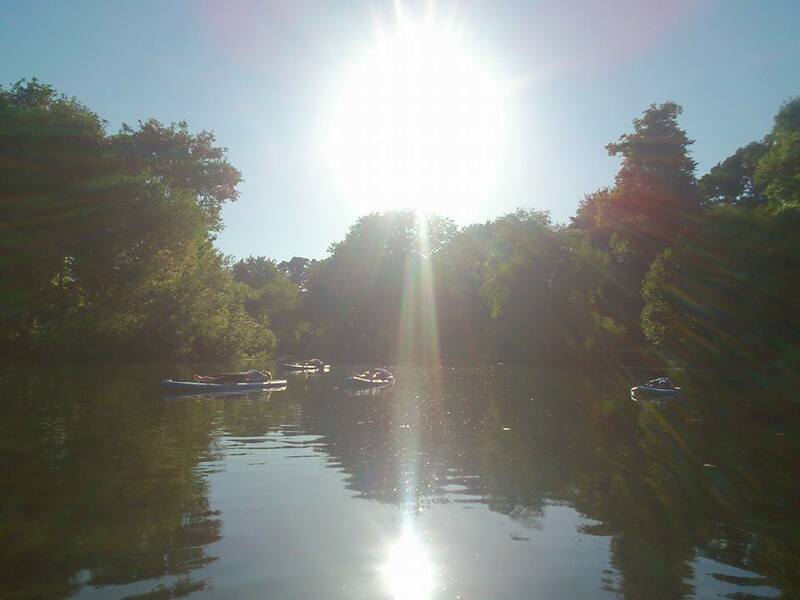 This is me last year having a paddle after class with the swans as the sunsets over the lake – it was glorious. relax. & it also makes you less concerned about falling in! can people book a class? or text/ call me on 07580169622.
you’ll achieve more than you expected! can they find out more? also specialise in private lessons 1:1 or 1:2 for a bespoke experience. Facebook page Helios Colour Yoga for more details. be running a free yoga taster session at the Bridport Vegan Market at 11.30am. Would be lovely to see some of the readers down there. 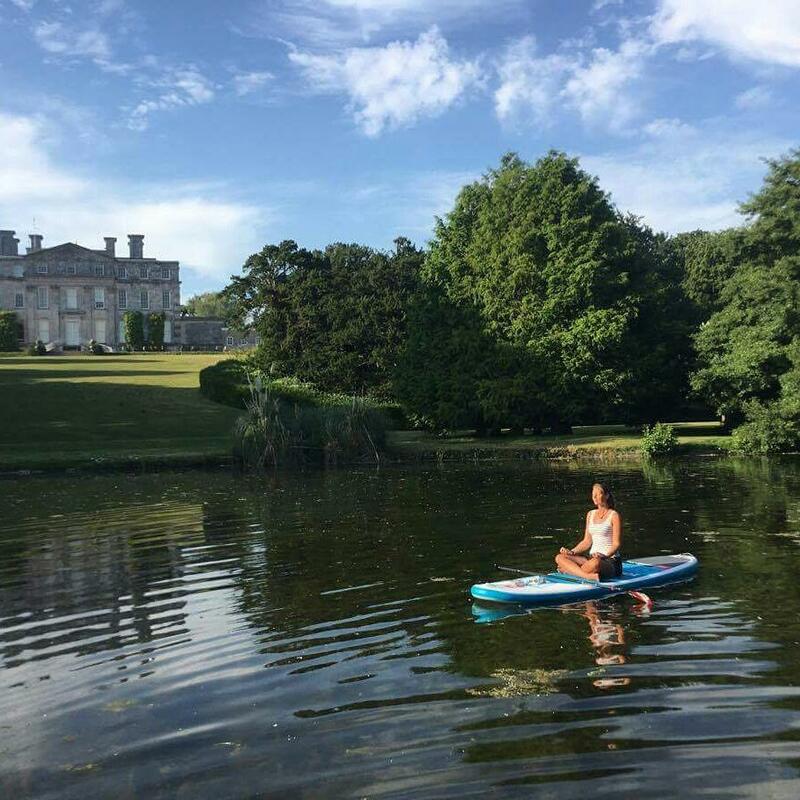 tranquil things you can do in Dorset! you’d strike on a paddleboard. 11:59pm GMT on Monday 27th August 2018.
available on request & published on social media accounts. sponsored, endorsed or administrated by or associated with Facebook. 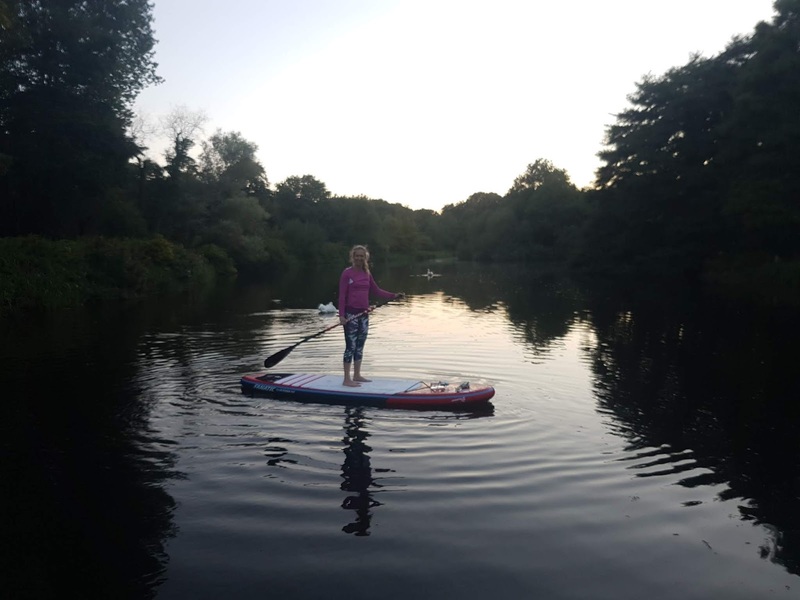 Love the interview with Jez i am one of her students a disabled one with Transverse Myelitis i went to Paddleboard yoga last year i thought i would never do most of the practice but after about 10 practice of yoga i actually stood up WoW this was an amazing goal for both of us! i use crutches to balance on land.it was a split second of my life but its given me such confidence in this 50 yr old disabled body. Jez is a wonderful instructor she knows her craft so well she can take any position and adapt it to suit around your disability this understanding and dedication to helping us all to be beautiful yogis in time. I just wish I lived nearer to this lovely place, and amazing lady, so that I could join in! It looks completely idyllic.